In the heart of the East Lake Corridor of Palm Harbor sits the charming Ridgemoor neighborhood of Chattam Landing. Just go north on East Lake Rd, right on Ridgemoor Blvd, left on Ridgemoor Dr, to Chattam Landing. Beautifully maintained villas with bright and open floor plans. These low maintenance vllas have great views of the pond from each screened lanai and many also have private swimming pools overlooking the water as well. Each three bedroom, two bath unit ranges in size from 1500 to 2250 sq. ft. East Lake, FL. features The Pinellas Trail, John Chesnut Sr. Park overlooking scenic Lake Tarpon, a newer YMCA facility and close proximity to shopping and dining needs. Do you like to golf? The Lansbrook Golf Course is open to the public and is within minutes of Chattam Landing. This Palm Harbor community has lots of mature landscaping and shade trees and the Ridgemoor property has tons of room to roam. It is a nature's paradise with one beautiful subdivision after another. 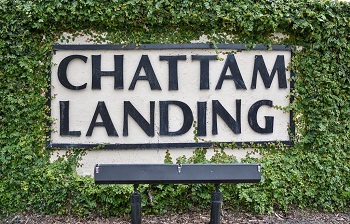 If you are looking for a maintenance free lifestyle, let us show you Chattam Landing. What more could any homeowner want in a villa, this is it! Selling your home in Chattam Landing? Have you thought about selling your home in Chattam Landing? Please consider using one of our selling agents for your Chattam Landing home. Our agents are confident we can help you make the most out of a sale. Call us today to speak directly with an agent OR enter your contact information in the form below! We look forward to speaking and meeting with you on the potential of your home.